If you’re looking to have a new contractor website built or revamp an existing one, then you’re at the right place. I’m about to share the 10 things you absolutely need to nail down if you want a website that’s more than just an online brochure. 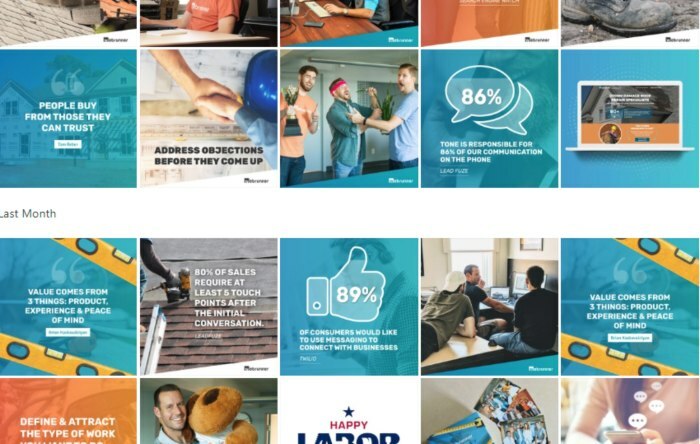 I’m talking about a contractor website that actually helps you grow your home improvement business rather than just look pretty. Here’s all the important stuff we learned from analyzing and tearing apart more contractor websites than we care to remember. Not the most interesting topic on the list, but using the right technology is crucial to the overall success of your contractor website. In a nutshell, you want to make sure your website is fast, secure, and easy to manage yourself. Luckily, all you need to accomplish those things are a content management system and reputable hosting. A content management system (CMS for short) makes it easy to change and modify your website content yourself so that you don’t always have to rely on outside help (and pay the fees that go along with it). Tip: Be wary of contractor marketing agencies that have their own custom-built website platforms. They usually charge you a monthly fee for your website which means you never own it outright. If you stop paying, it gets taken down and you lose any momentum you’ve built over the years. No Bueno. 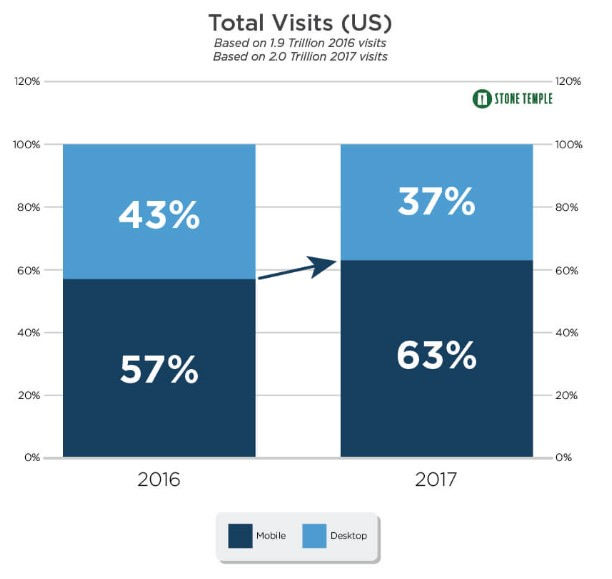 There are tons of CMS options, but your best bet is to have your website built on WordPress—it powers 26% of the internet and is trusted by brands like Bloomberg, NY Times, and yours truly, Webrunner Media. Another alternative is to use landing pages for each of your services through a platform like Unbounce. When it comes to hosting (that’s where your website files are stored, and it’s required for all websites), it’s worth paying the extra few bucks per month for added security and fast load time. Security is important for obvious reasons—you don’t want hackers and spammy code messing up your contractor website. But speed is a factor many contractors pay no attention to (and it ends up hurting them over the long run). Fun fact: A page slowdown of just 1 second could cost Amazon.com a cool $1.6 billion in sales each year! While your home improvement company may not be as popular as Amazon, your customers still won’t hesitate to leave before reaching out for help if your contractor website is slow. 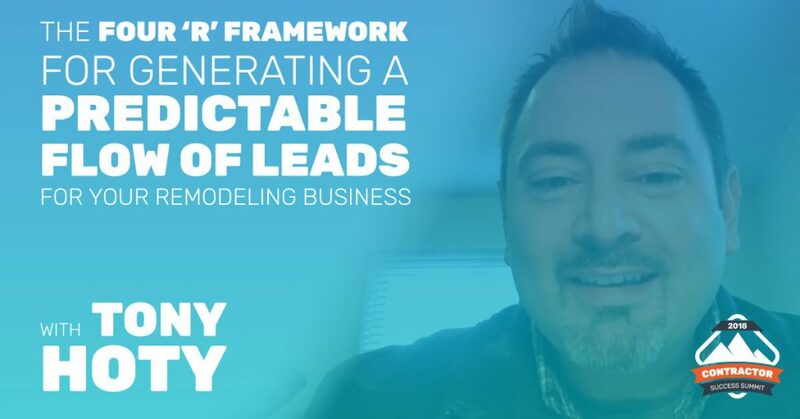 For argument’s sake, say you currently get 500 leads per year from your website. If your website is the victim of a 1-second delay, you’d lose out on 7% of those leads, or 35 leads. If your closing rate on new leads is 25%, that means you’d lose about 9 deals just because of a slow loading website! That could mean thousands of dollars in lost revenue just because of a 1-second delay! 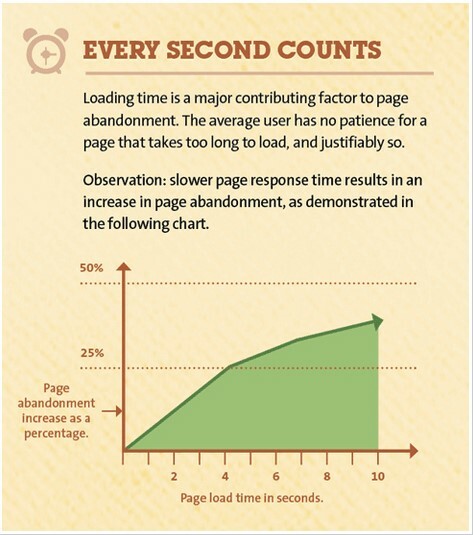 Page load speed is serious. Look for a service provider that offers dedicated hosting, which essentially means your website will have its own server (which means faster load speed and better security). Bonus points if you get managed hosting (which means things like backups, security checks, etc. are done for you). For what it’s worth, we’re proudly hosted by Flywheel and couldn’t be happier (and no, they didn’t ask us to write this). Now that the boring technical stuff is out of the way, here’s where we get to the overall look & feel of your website. If you want to make a lasting impression on your potential customers, your contractor website needs to make a statement. It needs to stand out. It needs to be unlike all of the other websites in your industry and market. If you’ve got a cookie cutter-website that was put together in a few days, odds are there’s another one out there just like it. Your customers should see your website once and remember it because of how unique it is. Try to find another contractor marketing agency that has a similar website to ours (if you do, it’s because they copied us…please let us know!). Kyle (our lead designer, who’s an awesome dude by the way) built our website specifically to stand out from our competition. It’s light on text, makes good use of white space, and uses a blue gradient that stands out. We use the blue gradient everywhere to keep our branding consistent. The blue is everywhere, and contractors remember it. If you want your customers to remember you, don’t skimp out on design. It’s one of those things that can’t be measured directly but can have a huge impact on your bottom line. If you want your website to generate more exclusive home improvement leads for your business, your above-the-fold has to pass the grunt test. What do I mean by ‘above-the-fold‘? And what’s the grunt test? If they can’t answer those 3 questions, then your homepage doesn’t pass the grunt test, and you should probably revisit your content above-the-fold. What do we do? We have a lead generation system for remodelers, replacement contractors and restoration companies. How do we help? We take the guesswork out of marketing and allow contractors to stop wondering when their next job will come in. How can people get started? They can see how it works, book a demo, or even give us a call. Address those three things, and you’ll have a much better shot at turning visitors into leads. Your website needs to be designed for mobile first. Desktop now comes second. If your potential customers have a bad first experience with your website because they can’t view the content or use the links & buttons properly from their smartphones, they’re not gonna stick around. 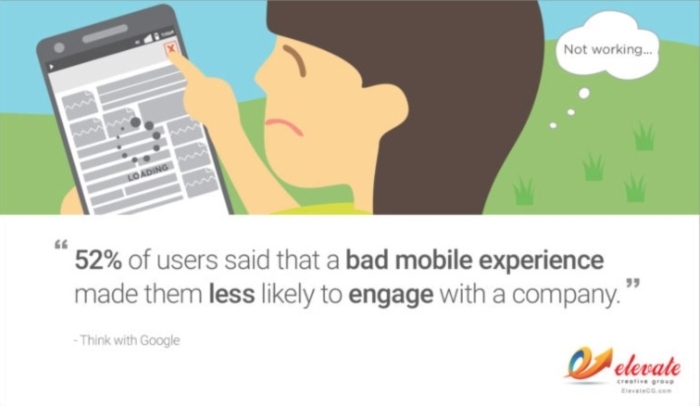 Do what you need to do in order to make sure your website’s mobile experience is flawless. Google’s Mobile-Friendly Test is a great place to start, but nothing beats a manual review of your website on different devices and browser versions to make sure everything works the way it should. As a bonus, you’ll also see improved search engine rankings because Google now loves to reward websites that are mobile friendly. If your homepage’s job is to clearly communicate what you do within 5 seconds, then your individual service pages need to dive deeper into the how. In other words, if you’re a roofing contractor, then you should aim to build out a dedicated page for each of your services—installation, repair, maintenance, etc. Explain your process, the materials/tools you use to do a good job, and how you actually fix your customers’ problems. It’s okay to talk about the specifics of your services but make sure you stress the benefits. Your metal roof might be coated with PVDF resin, but what consumers really care about is that it’ll reflect up to 97% of the heat gain that would normally be absorbed in their home, which can make a huge contribution to their overall energy efficiency (and keep more $$$ in their pocket). And although you’re including more information on these service pages, they should still breath nicely. and make sure any text is well formatted using short paragraphs, lists, columns, etc. Deliver the information as concisely as possible, and then guide prospects towards the next logical step (more on that later). This one’s straightforward, but you’d be surprised how many contractor lead generation websites have their phone number buried in their footer, or worse, just on their contact page. If you want your phone to ring, then you need to put your phone number front and center. Ideally, it’s in the header of your website so that it can be seen at all times. Consider adding a sticky navigation bar to your website. Bonus points if you use call tracking technology (we use Callrail) to measure your marketing efforts! Unfortunately, not everyone is going to pick up the phone and call you for help as soon as they land on your website. Some people rather fill out forms and request more information before getting on a call, which means you have to use as many conversion mechanisms as you can in order to get them to take action. A visitor should technically always have a call to action visible in their viewport (sticky navigation, as mentioned above, helps with this). Even if you primarily want phone calls, your visitors might want to chat or submit forms instead, so make sure you include several different call to action types. Book a demo (#1) links directly to a calendar app where prospects can book a time with someone in our sales department. Call Now (#2) allows mobile users to call us with just one tap. And the Live Chat (#3) option lets prospects ask us a question right on the spot. All three of these conversion mechanisms generate leads for us, and turning any of them off (or focusing just on one) would be a big mistake. And yes, we’ve tested it. If you want a website visitor to pick up the phone and call you, they first have to trust you. 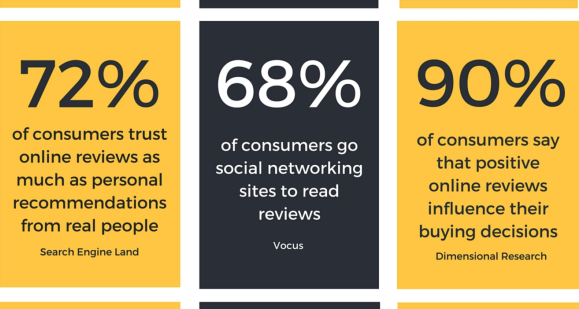 And the best way to gain a potential customer’s trust is with social proof, or what I like to call, The Amazon Effect. If you’re anything like me and do all your shopping online, you probably read a good chunk of the reviews and frequently asked questions before buying something. Because you want to hear from others what they think of the product, not from the supplier or manufacturer. The same thing goes when it comes to the home service industry. Your customers want to hear from other people like them how great your services are, not from you. That’s why you need to include as much social proof on your contractor website as possible. Link to profiles you have a good reputation on, such as Yelp, Houzz, etc. The more elements you include from the list above, the easier it will be for your website visitors to know, like, and trust you. These are all pages you would see on a well-established business website in any industry, and visitors subconsciously expect to see them when browsing a website. If you don’t have these conversion assist pages on your own website, you should consider creating them. 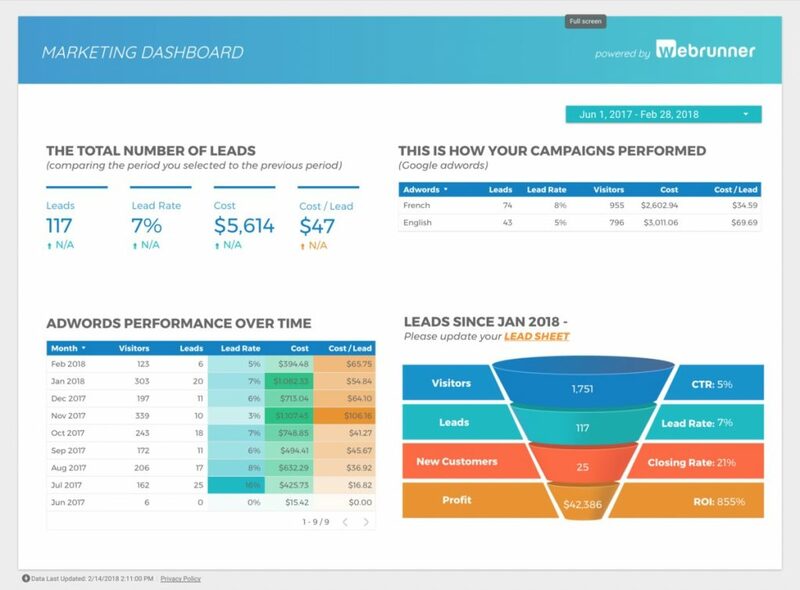 The only time you’ll want to stay away from adding these pages is if you rely on landing pages to generate leads for your business (like with our PLACE IT™ system). In this case, less is always more! We strongly believe pay per click is the best lead generation strategy for contractors, but that doesn’t mean you should neglect search engine optimization (SEO). At the very least, make sure that each page of your website is optimized around a specific keyword that can drive leads for your business. That’ll get you started off on the right foot. Check out Backlinko’s On-Page SEO Guide for more tips on setting up your contractor website for SEO success. Aside from focusing on keywords and on-page optimization, you should also link internally to relevant pages. For example, throughout this blog post, you’ll find links to other relevant content on our website—these are called internal links. Internal links keep Google bots on your website longer which helps your pages index quicker, and it also helps to improve your search engine rankings over time. Last but not least, if you want your contractor website to generate leads for your business, you need website traffic. Following the SEO best practices above is a great place to start, but you’ll need more than that. We may be biased, but we’re huge fans of pay per click for contractors and Facebook ads for contractors. Yes, pay per click means you have to pay money in order to get traffic to your website. But if all you picture when you think of PPC are dollar bills flying out of your bank account, you’re not looking at it the right way. As long as you pay less to acquire a new customer than you make in profit on the job, you WIN. And once you figure out your numbers and get things dialed in (our PPC calculator works great for this), pay per click becomes even more profitable and can be a great way to scale your business. 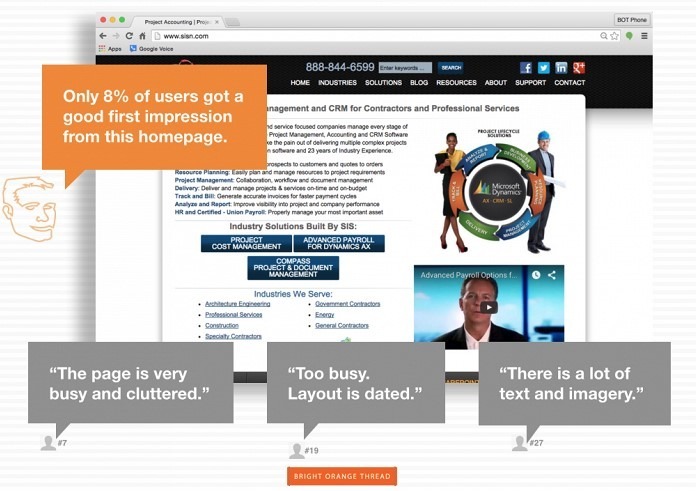 So there you have it—the 10 must-haves of a winning contractor website! Following as many of these recommendations as you can will prepare your contractor website for lead capture. With those bases covered, all that’s left is to get as many qualified prospects to your website as possible. 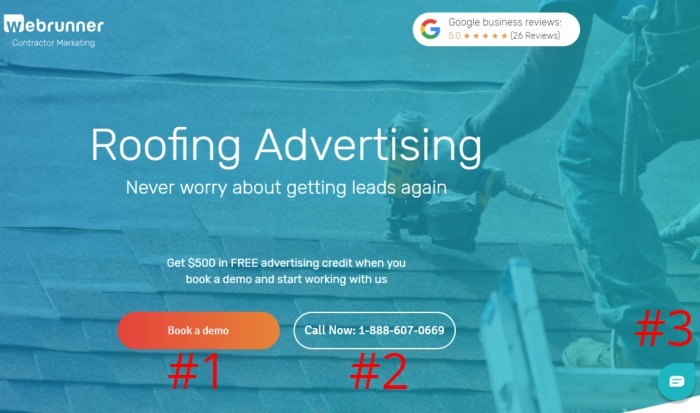 Regardless of how you decide to attract visitors to your website, one thing’s for sure: you’ll be able to turn more prospects into contractor leads for your business! Ben is our Facebook Ads Specialist and is responsible for generating thousands of quality leads for our customers in the replacement & remodeling industries. When he’s not busy launching new campaigns, he squeezes in time to write helpful posts on the Webrunner blog.